“Having garnered a loyal fan-base over the last few years, the band are now set to release their new album next month. Taken from the album, latest single “Plimsoll” is inspired by a true story of the politician of the same name who, in the 1800s, canvassed for better safety on cargo ships where owners were sending sailors off to their deaths to cash in on insurance. A rich musical arrangement filled with layers of sweeping strings and delicate vocal harmonies, it’s a truly uplifting folk ditty that perfectly fuses together traditional lyrical storytelling with the band’s fresh take on instrumentation. “You are introducing a ‘modern twist on tradition’ with your new album The Seeds Inside (The Grapes Upon The Vine) – what exactly does that mean? “For those who may be new to your music, how best would you describe your sound? This is a truly astonishing album! It contains music of the highest quality and originality and yet never strays far from Folk music, albeit predominately British, some recognizably from America and even strains from other parts of the world all wrapped up somehow in their own individual styles that flow beautifully through this idiosyncratic bands debut full length album. They are a London based band who should be destined for great things if they keep producing albums of this quality, with their own excellent originals blended with traditional songs and instrumentals, lovely vocals from Ruth Jacob who maintains her English accent as well as playing banjo, guitar, harmonica and tin whistle with husband Rupert Browne adding an excellent vocal contrast as well as playing guitar. Will Dobson plays cajon and percussion and Boris Ming on fiddle, keyboards and vocals complete the lineup on this album that gets better with each listening session. On their EP ‘Not The Last Act’ The Bara Bara Band deliver an eclectic mix, meandering through the convoluted paths of alternative folk, some of the less well-trodden routes of unorthodox country music, taking in the dark alleyways of psychedelia along the way. 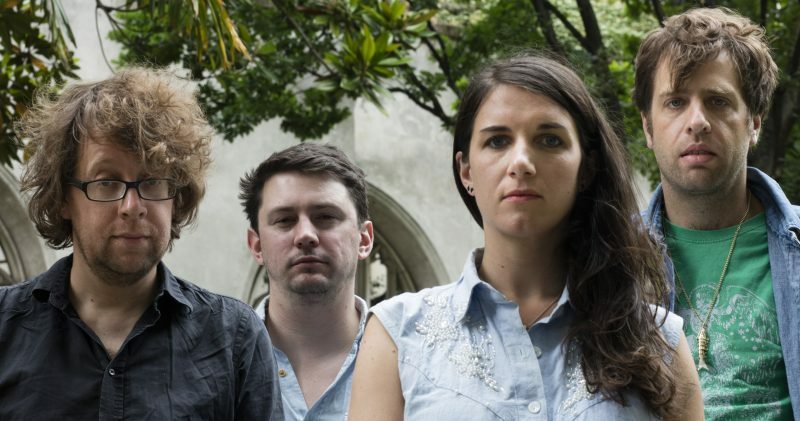 Roaming through a collection of influences, all subsumed into their own particular and distinctive style, the intensity begins with ‘Come Ye Forth’ and immediately Ruth Jacob’s vocals stamp their authority on its crescendo-rich, echoing violin-trimmed effervescence. Next you’re into the title track ‘Not The Last Act’ a bass and percussion-led vibrancy with folky-narrative overtones and punchy vocals. Step change to a pastoral wistfulness with darker folk tendencies and ‘What Do You Believe In’ offers another facet of this experience, while the closer ‘Medusa’ puts a folk-country edge to an unconventional view on the mythological Gorgon. This EP conveys the impression of a passionate, interlaced heart that periodically flails into a tenuously-held swirl of thoughts and images. Not easy to hold down but well worth the chase. So when does the album follow? On ‘Not The Last Act’ The Bara Bara Band are Ruth Jacob (songwriter, vocals, guitar, harmonica, banjo) Rupert Browne (bass guitar, backing vocals) Will Dobson (drums, glockenspiel) Boris Ming (fiddle, keyboard, backing vocals) and Claudia Ruane (melodica, backing vocals). The London-based Bara Bara Band describe themselves as “an alt-folk quartet drawing promiscuously on old-time Americana, country and 60s psych as well as soaking up influences of traditional English folk music”; whoa there! But to my mind that’s not really the image their music conjures up – certainly the lead track of this EP, Come Ye Forth, sounds more like a feisty yet playful child conceived in a cosmic circus caravan, maybe a fiercely independent cross between the Incredible String Band, the Banshees and the B52s; check out that cheesy Woolworths organ, which also crops up on the stomping title cut. What Do You Believe In?, with its gorgeous yearning vocals and twitchy fiddle motifs, is altogether gentler in expression and tone, but retains a bewitchingly sinister tone and is steeped in fairy lore and twinkling glockenspielery. The EP closer, Medusa, presents the mythical gorgoness in the unusual and ingenious context of a snake-hips line-dancing hoedown with pulsating cajun fiddles and rousing harmonica. All four songs are composed by band member Ruth Jacob, who I understand was formerly one half of legendary female folk duo The Lorcas. Ruth also provides the gorgeous lead vocals throughout; the lineup’s completed by Rupert Browne (bass), Boris Ming (fiddle, keyboards) and Will Dobson (drums, cymbals, glockenspiel), all of whose input cannot be underestimated.notwithstanding Ruth’s charismatic presence. The Bara Bara Band provides something refreshingly different, not merely quirky-for-the-sake-of-it, and the brevity of this EP leaves me wanting much more (and we’re told that this is only the band’s second release).